PAX West (Penny Arcade Expo), a massive gaming expo set to take place from August 31 to September 3 in Seattle is gearing up for its 14th year. Previously known as PAX Prime, the 2011 event generated over 70,000 visitors. The first PAX expo was held in Washington in 2004. 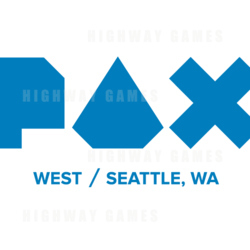 Now a world wide event, PAX expo's take place yearly in Seattle (PAX West), Boston (PAX East), San Antonio (PAX South) and Melbourne (PAX Aus). They continue to grow yearly in size and attendance. The West event will include an exhibit hall with an array of different games and arcade machines, a gaming panel, game tournaments, pin trading and much more. Sega will be on a panel at 1.30pm Saturday, titled: a Sega Perspective; Bringing Japanese Games to the West. Other scheduled events include a Street Fighter 5 gaming competition, an advanced mechanics of Pin trading panel and Penny Arcade Q&A. The Friday, Saturday and Sunday sessions are all currently sold out, with low availability on the Monday. Tickets are currently $50USD plus processing fees. To purchase tickets to the event, click here.